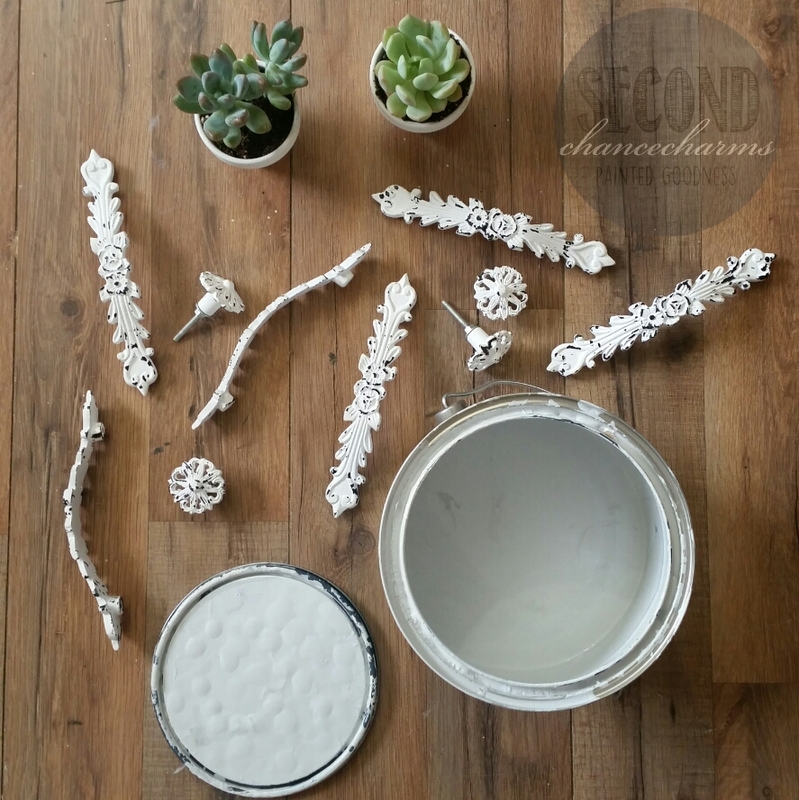 We are in the middle of our home renovation and once complete I will share before and after pictures! 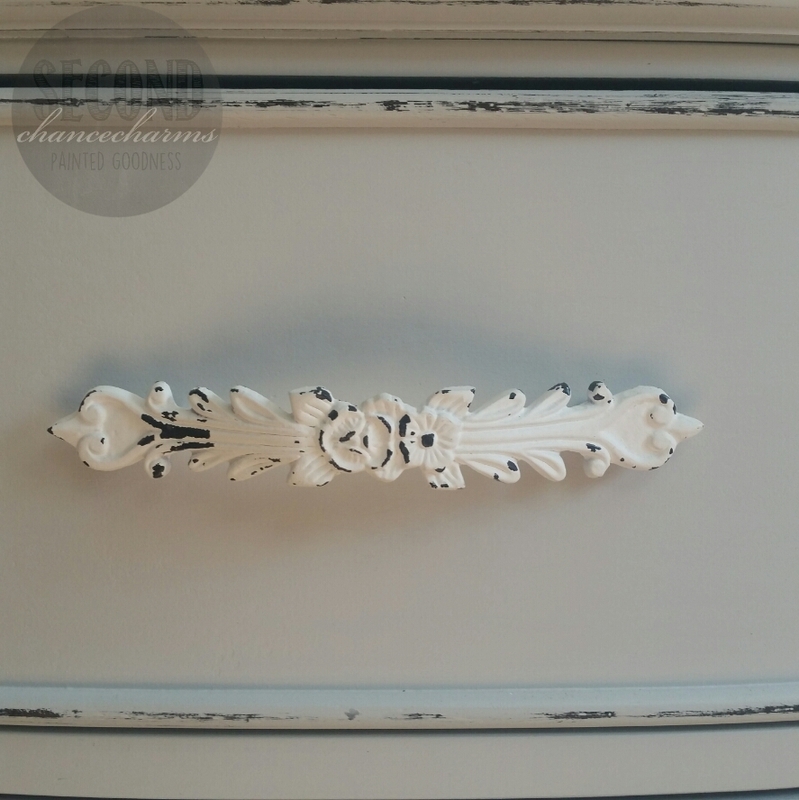 In the meantime I have to change up my pieces that I refinished years back. 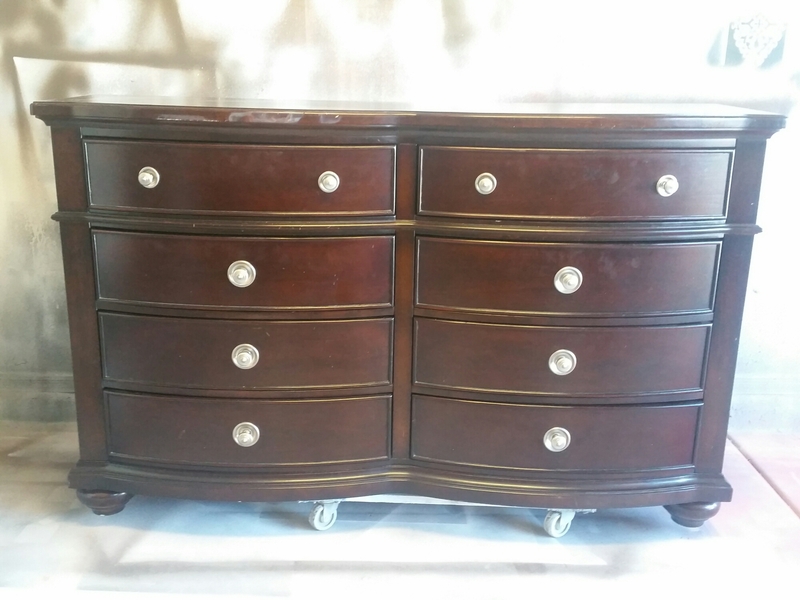 First piece I started with is my mothers hutch. 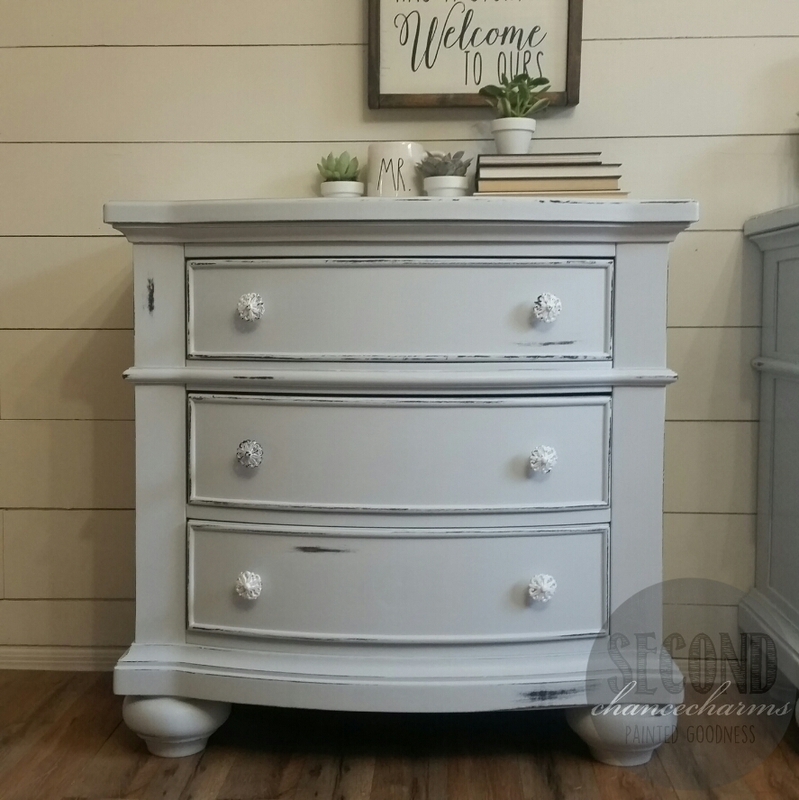 Refinished in Sherwin-Williams Dovetail Gray. Glazed in Black Fox. 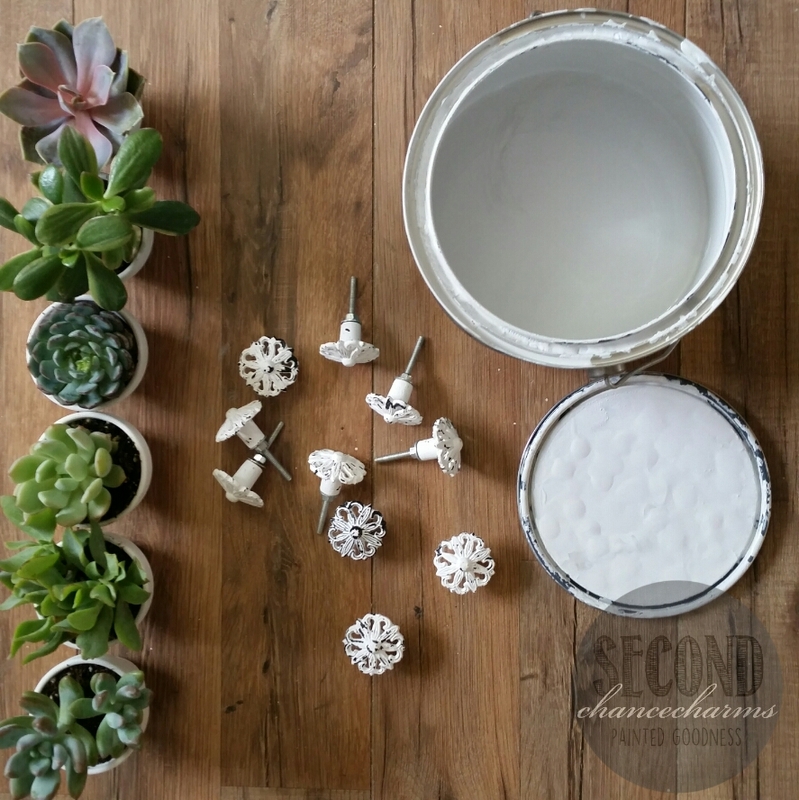 Added distressed white iron hardware from Hobby Lobby. Left the backing and shelves orginal wood. 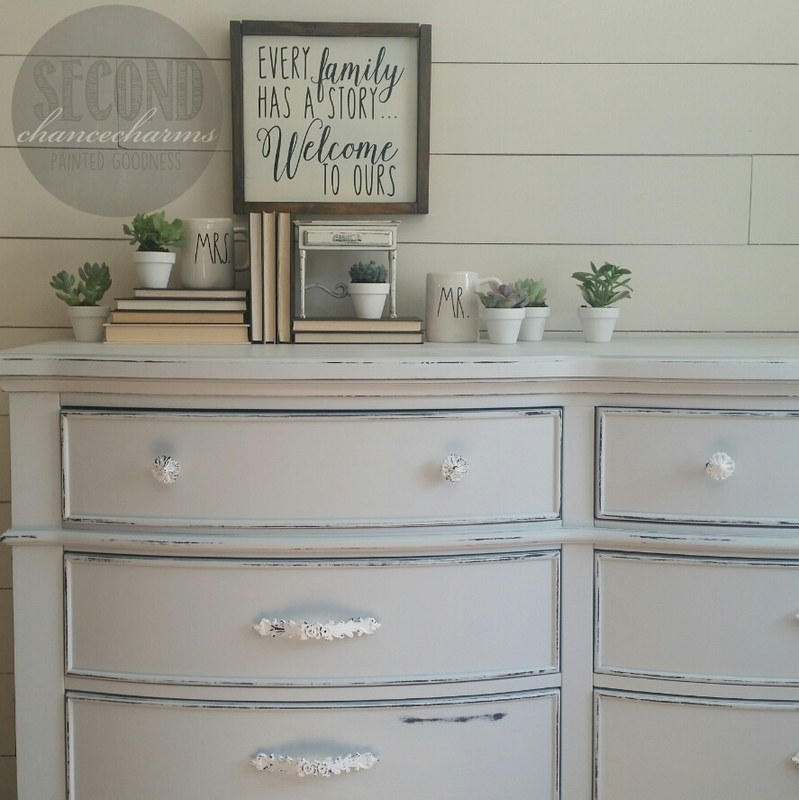 Continuing with the custom master bedroom transformation from traditional style into farmhouse chic, today I am sharing with you the dresser. 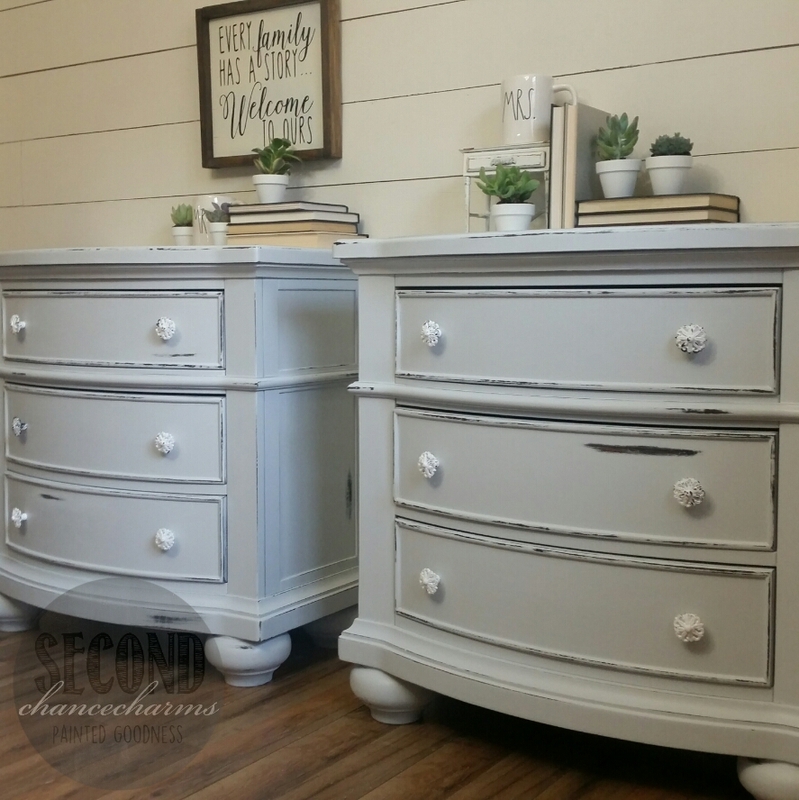 Yesterdays post of the His and Her Nightstands was a complete success on all media sites over at Second Chance Charms Instagram & Facebook page. 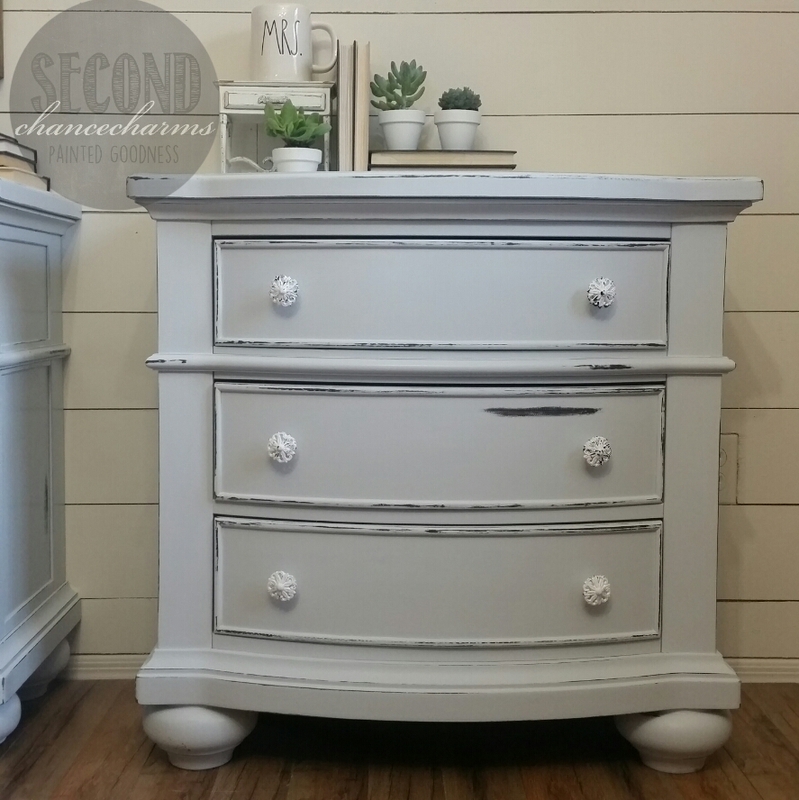 Refinished in Sherwin Williams Reflection and lightly distressed. 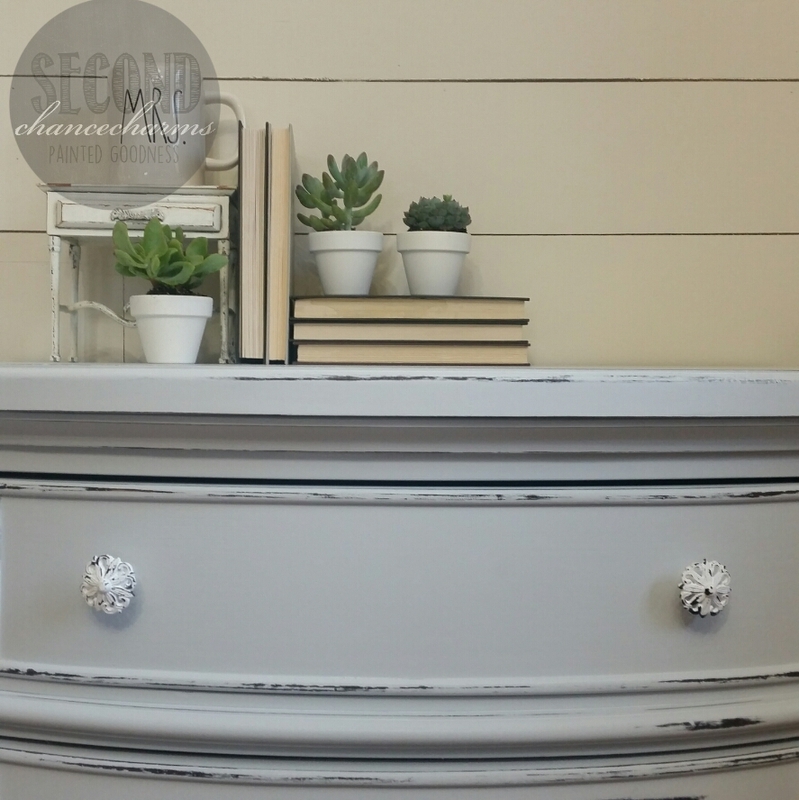 Replaced knobs with some very adorable white distressed knobs and pulls from Hobby Lobby that my clients picked out. 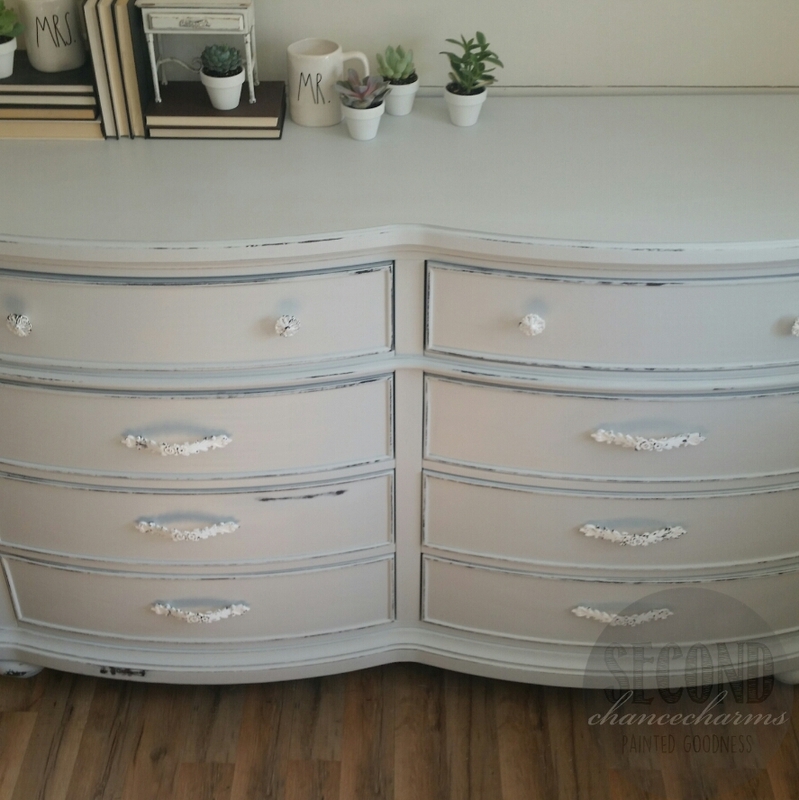 And to think my client was on the verge of getting rid of these pieces to buy something… dare I say it…. NEW! 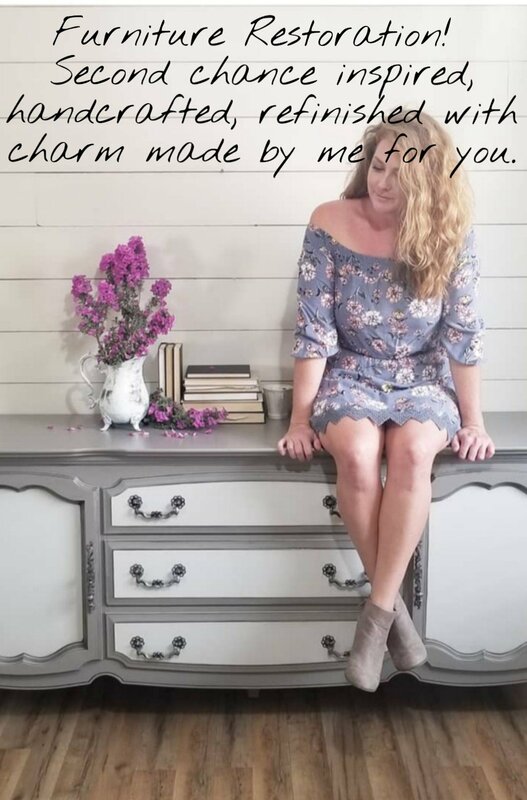 When she sent me pictures of her master suite furniture pieces for a quote I fell in love right away. How could I not? Look at the curves of the legs, the front bow of each piece. And not to mention the sturdiness of everything, you can tell in the photos these items were heavy-duty and well made. 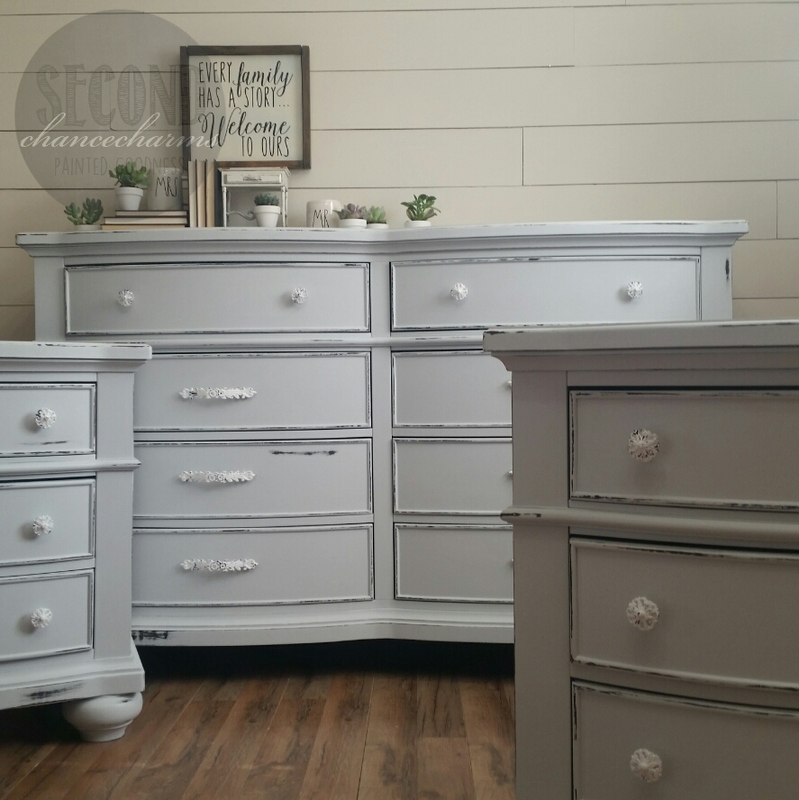 I am in absolute love over this custom bedroom set that I have been working on these past two weeks. 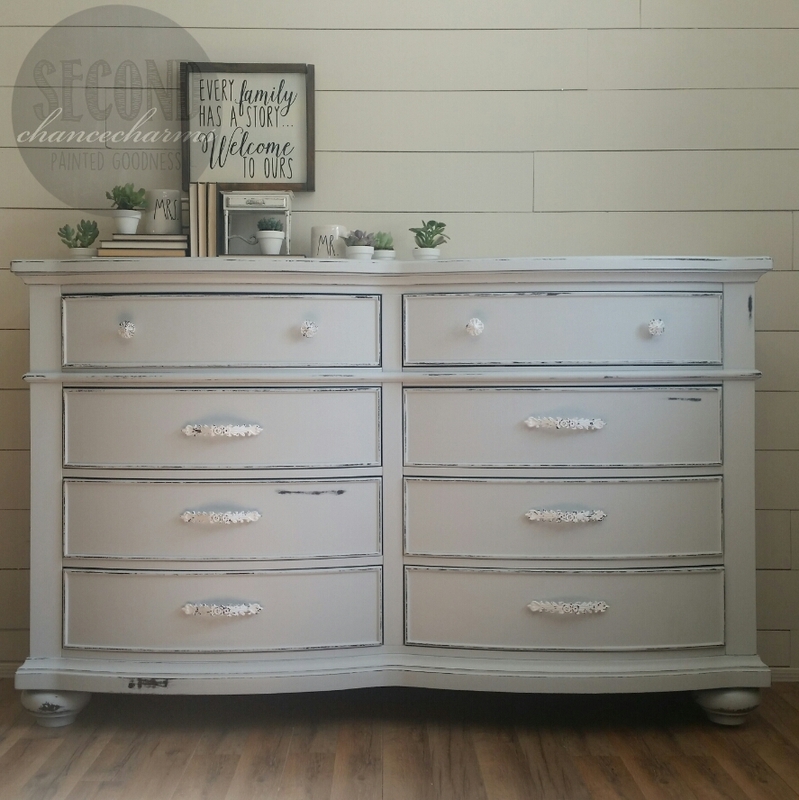 Stay tuned in as you will see a master suite traditional style bedroom set transform into a farmhouse chic style! 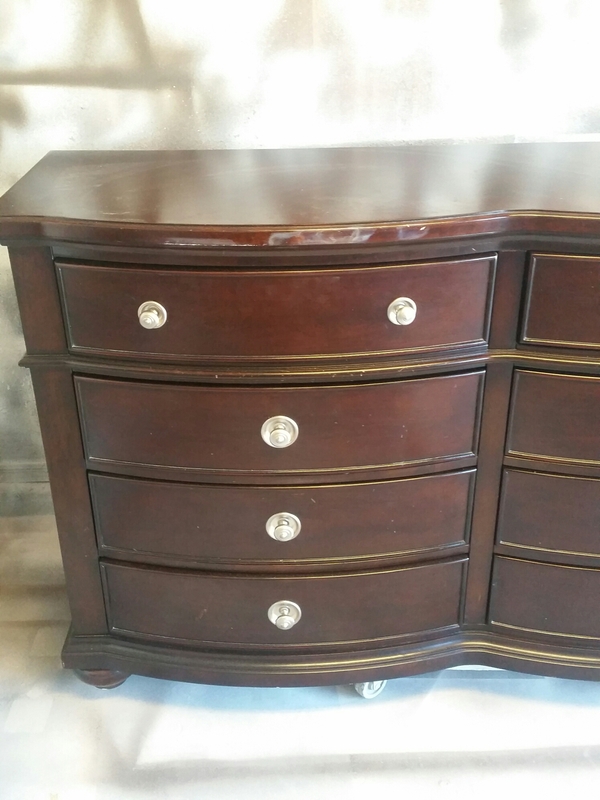 First I will be sharing the nightstands. 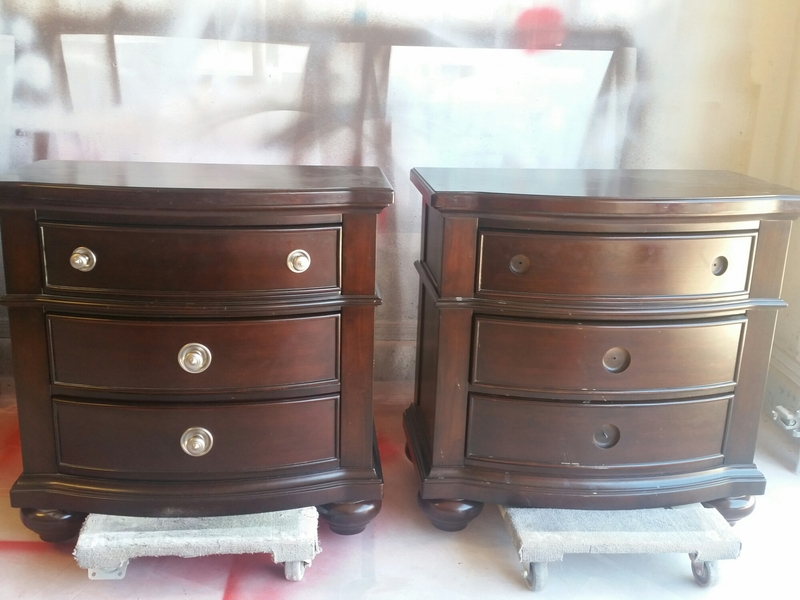 Refinished in Sherwin-Williams Reflection with a light distressed finish. 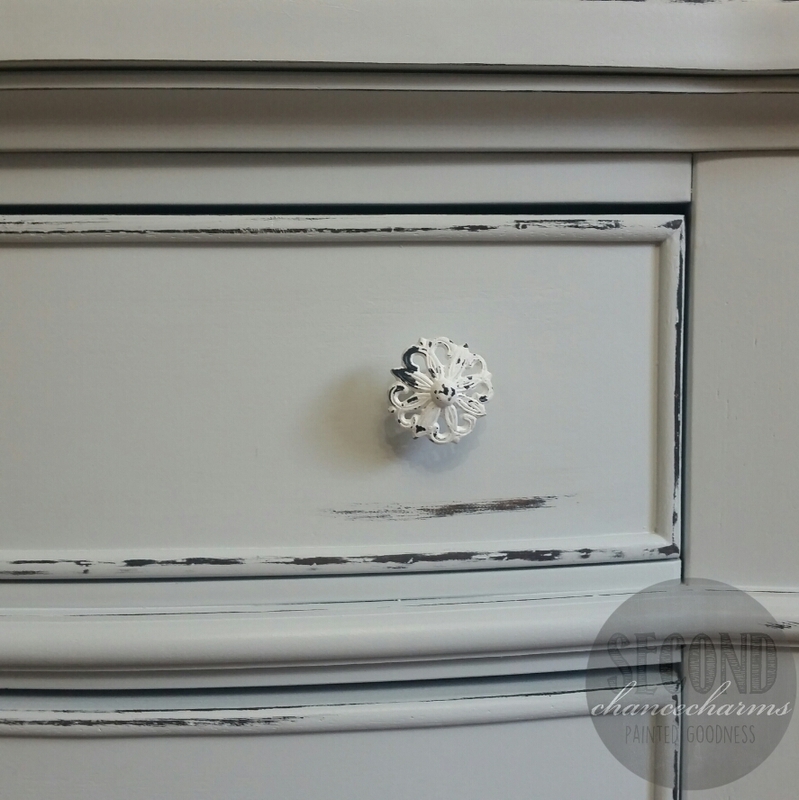 Added new white chippy knobs from Hobby Lobby. 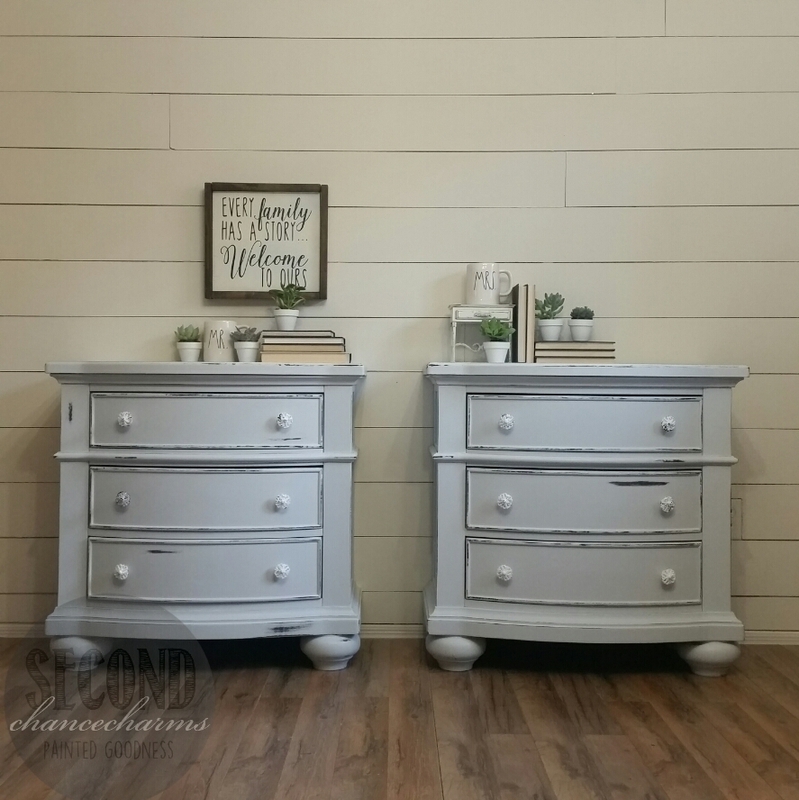 These gals are officially farmhouse chic! Before picture. 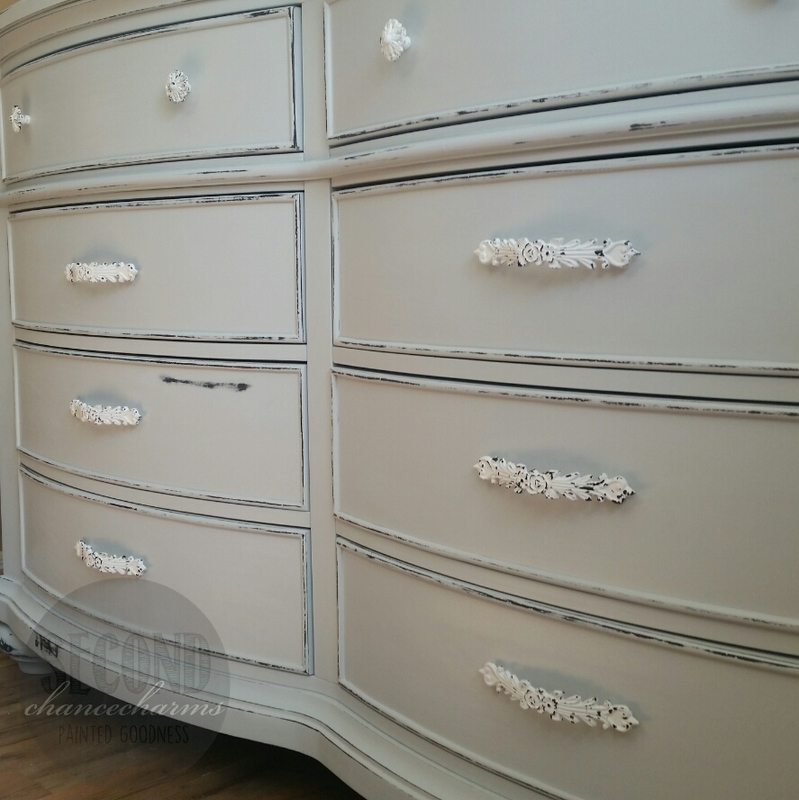 When removing the exsiting knobs I filled in the gaping holes they left behind and created new spots for the knobs my client picked out.